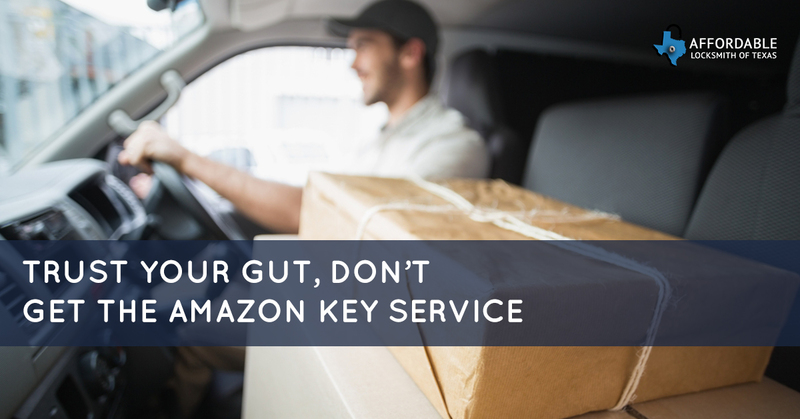 If you have an Amazon Prime subscription or read reputable services like Time Magazine, then you’ve probably heard about the new program “Amazon Key.” The program will help you avoid stolen or weather damaged packages by allowing an Amazon Delivery person into your home to place the package just inside the door. Are alarm bells going off in your head? They should be. You’re about to let someone inside your home while you’re not there. Obviously, a camera on the door handle is how you can supervise this interaction. The entire Amazon Key Package includes a smart lock and a Cloud Cam that works with an app. The price point is anywhere between $250 – $310, depending on which smart lock you choose from Amazon’s stock. If you’re the sort of person who uses a deadbolt or regular lock on your front door, like most people, then you can’t possibly feel comfortable with an app having the capability of unlocking your door while you’re not there. Think of everytime a well-built site, like Facebook, glitches in a single month that you use it. Granted, a camera guarding your front door is a decent plan to prevent stealing and promote accountability. It’s time tested with thieves of all sorts, deterring the issue if not providing evidence as to who the culprit is. Furthermore, Amazon insists that their delivery drivers will be extremely vetted and qualified. The key piece of information to keep in mind, however, is that hackers have already reported on finding a way to freeze the camera’s frame. Your package will be marked as delivered, and the package will be inside your door, but, the delivery man can simply not re-lock your door, run a program with something as simple as an equipped handheld like a raspberry pi computer, and disable your Cloud Cam. You’d have no idea how long they remained in your home, what they took, and what they did while in your home. Wired and Rhino Security Labs—the hackers of the Cloud Cam—brought the problem to Amazon’s attention. In response, they released a statement saying they’d issue a patch later that week to fix the issue. However, as we all know, when it comes to electronics of any kind they remain easily corruptible and ever changing. If it can be hacked now, it will be hacked later, and the only way Amazon will hear about it will be through customer service reports of their customers having things taken from their home by these supposedly trustworthy delivery employees. With the price in mind and the security fear associated with it, it seems taking the trusted and true route of an actual lock might still be the way to go. Your home is a private place, and should be protected by trusted locks, put in by trustworthy locksmiths. Considering the price point of a real lock installation will certainly sway you away from Amazon Key’s extravagant pricing for potentially faulty software. Contact Affordable Locksmith of Texas and get a brand new real lock today.